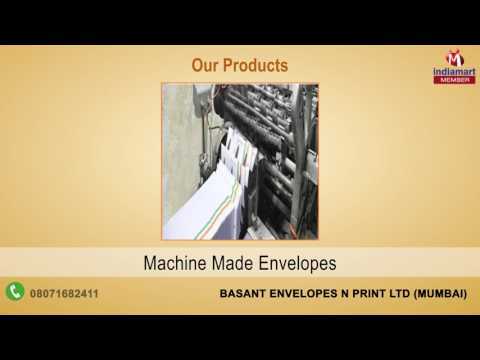 "Basant Envelopes N Print Ltd" was founded in the year 1996 as the eminent name responsible for offering Envelopes and Commercial Printing, using latest technology and as per customers services. These solutions are offered with a vision to deliver attractive & efficient solutions in form of Business Envelopes, Complete Envelope Kit and Graphic Design. Under the specified category, we are offering designing of Complete Envelope Kits as well as Commercial Printing & Continuous Stationary Services. The complete assignment is executed under promised time frame, supported by our experienced professionals containing required & relevant information.